In honor of the release of the Neverwinter Campaign Setting for 4th Edition Dungeons & Dragons, it is Dungeons & Dragons week here at Diehard GameFAN. 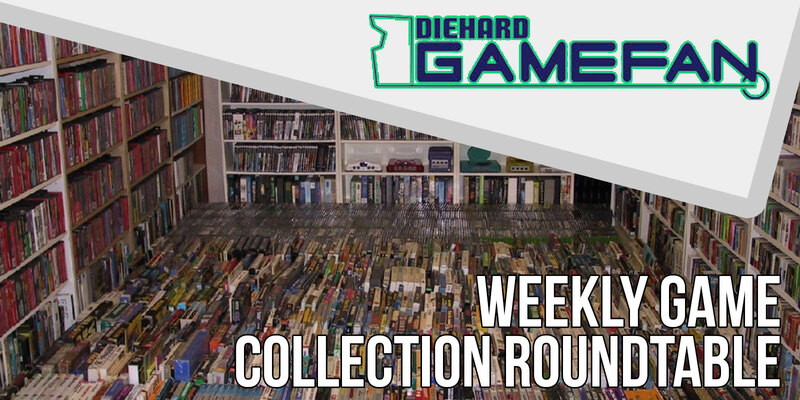 As part of this week, we will be opening up the Diehard GameFAN Hall of Fame to five nominees – all video games based on Dungeons & Dragons in some way. Our standards are just like the Baseball Hall of Fame: every game will be voted on by members of the staff, and any game that gets 75% of the vote – with a minimum of four votes – will be accepted – or thrown – into their respective Hall. Why it Was Nominated: Neverwinter Nights was a big deal for several reasons. It was Bioware’s first Dungeons and Dragons game without Black Isle or Interplay to help them out. It was Atari’s first real game with the D&D license. It was a test of how well third edition D&D could hold up in a video game after its lackluster debut in Pools of Radiance: Ruins of Myth Drannor. It was a test to see if the PC could still thrive in a market where video game consoles were becoming a larger and larger piece of the market with systems like the Sega Dreamcast and the Sony Playstation 2. The good news is that the game was a massive success, both financially and critically, and it cemented BioWare as one of the three best D&D developer teams along with companies like SSI and Black Isle Games. More importantly it solidified why Dungeons & Dragons was, at that time, still the biggest RPG franchise in both the tabletop and video game world. Younger gamers may not realize this but from the late 1980s until the early 00s, Dungeons & Dragons as a video game series was more dominant worldwide in terms of number of copies moved and the dollar amount coming in than some of the franchises we think of today, including Final Fantasy or Pokemon. 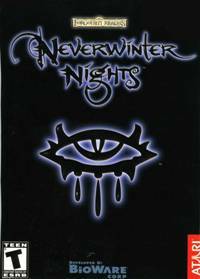 Neverwinter Nights would prove to be the penultimate great success for D&D as a video game series (Dark Alliance 2 would be considered to be the last) Although games like D&D Tactics, Neverwinter Nights 2 and others have had varying degrees of success – nothing has really compared to the golden era of PC RPGs of which BioWare’s creation was the last. 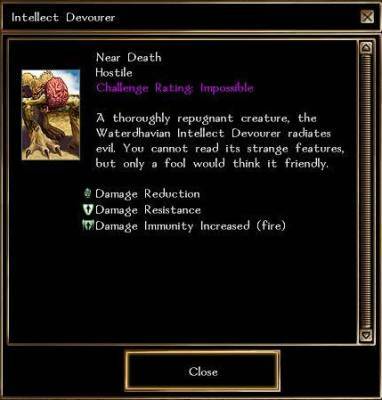 So what made Neverwinter Nights so memorable? Well there were a lot of things. The first was the ability to truly customize your character. For example, I played a Dwarven Necromancer for my first time through- something that wasn’t even remotely possible in any form of D&D before third edition. The game offered several expansion packs, which really hadn’t been done before this; certainly not to the level of success things like Shadows of Undrentide, Kingmaker and more managed to achieve. Most important was the multiplayer and community aspects of the game. Taking a page from Vampire: The Masquerade – Redemption, Neverwinter Nights allowed gamers to not only create their own adventures, but to play these adventures with other people. Playing games online is pretty run of the mill today, but in 2002 a game that could let up to 96 gamers go at it all at once was a big deal. This was a big deal and I personally was involved with a Ravenloft campaign for sometime where we’d all take turns running adventures. It was an insane amount of fun. So what better way to kick off Dungeons & Dragons Week and the release of Neverwinter than by seeing if Neverwinter Nights can join the other ten games that have successfully entered the Diehard GameFAN Hall of Fame? Will Nobilis: This is the game I have the most experience and best memories with. Between the storyline that read like a decent novel, the mechanics (though I played it real time 99% of the time) and the rich toolset that allowed for easy modding, I spent hours tinkering with the game just for the fun of doing so. I spent many an hour on the single player game before venturing out onto the Internet in search of other players to replicate the experience of the original NWN on AOL. Eventually I found a place (Narc’s Tale of 7 Dragons) that pretty much felt like the closest to both the original game and a Tabletop Game I would find in the NWN community. There were excellent GM, players, storyline, rules (which a DM could change with the toolset) and co-DM Wardens that were available at all times. I still fire up this game to this day and that is reason enough for me to say that this is my #1 pick for the Hall of Fame. 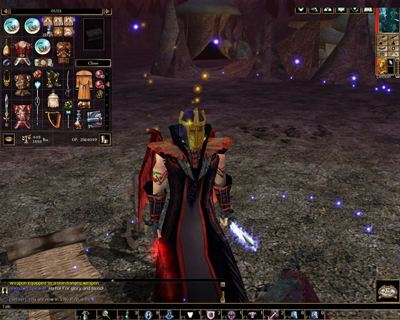 Ashe Collins: Bioware sought to make an MMO much like the first Neverwinter Nights, but instead of being hosted on a server, the player could host the game on their machines instead, which would have given rise to an array of Neverwinter all over. The one thing that places this into the category of Hall of Fame, isn’t necessarily the game itself, but what Bioware gave the player to play with, the toolset for their game engine, Aurora, which allowed players to create their own modules for other people to enjoy. The game itself had some issues, but the inclusion of the toolset made it a must buy for a lot of people. Bioware would go on to use the game engine again for Star Wars: Knights of the Old Republic and Obsidian would continue on with it in the Star Wars sequel and a modified version for Neverwinter Nights 2. It left a lasting mark on not only the D&D PC market, but also left a huge mark on the Star Wars RPG market as well. B.J. Brown: I remember getting bored with the main story of this game. 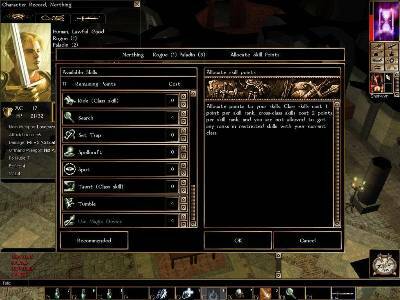 The unique part of this game was how accessible the toolset was for the creation of your own adventure. As D&D goes, it did allow for an online (DM) of sorts to kind of lead a set of characters on a realtime adventure in an MMORPG style viewpoint. It was a bit clunky and buggy at times because complex tasks (NPC interaction, stores, etc) were a bit hard to tackle as a DM, but in time one could do some SERIOUS adventures. I remember jumping into pre-made servers that people had crafted with dozens of others based on different realms like Dragonlance or just plain original settings and having a blast. DMs would actually monitor the players in the server and give bonuses to those who would actually role-play their character. This made the experience stand out for me because it wasn’t your run of the mill loot and experience hoarding borefest. Sean Madson: I’ve been told that Neverwinter Nights is essentially D&D in video game form. Not having played D&D myself, I can’t really say from personal experience whether or not that is the case. Without the background in it though, I can’t really appreciate how close it is to the source material and instead have to take the game on its own merits. The main campaign, while enjoyable, did not floor me to the same degree as some of Bioware’s later works. The story was pretty decent and it was chock full of branching dialogue options, but the whole experience plays second fiddle to the other, more prominent feature, and that is the ability to create campaigns for you and your friends. It reminds me of the “story” mode that was present in LittleBigPlanet. 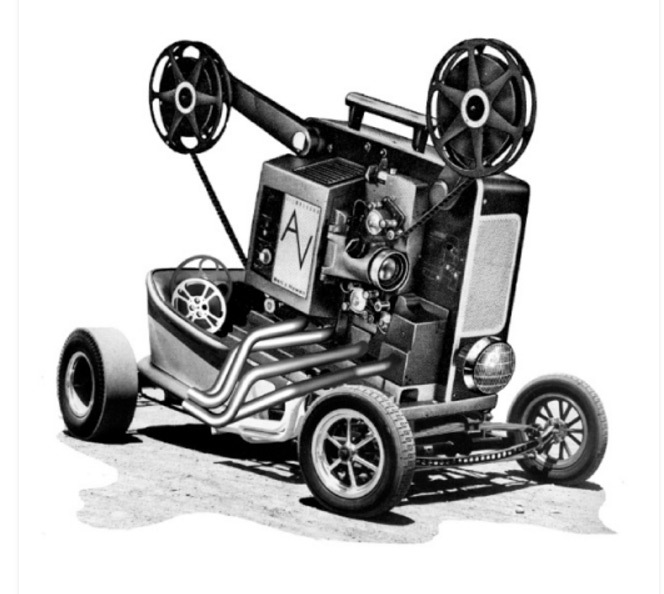 It’s there to provide entertainment outside of user created content, but it’s not really the main attraction. Since the single player campaign was the only part of the game I really spent any quality time with, I can’t give a thumbs up on this one. Perhaps if I were to revisit it with some friends some day, I may change my mind. Until then, it’s just a fun PC game that I happened to have played and nothing more. Misha Sumra: Like so many children of the 80s, my first encounter with D&D was via the legendary cartoon series, followed some years later by a friend running some occasional games of Second Edition. So I’m very particular about my D&D. I was disappointed by the simplification of character creation, and the rest of the game, quite frankly, did nothing to improve my opinion. The graphics were good but not outstanding, the music was nice, the control system was functional if unspectacular, but the story was so uninspiring I couldn’t be bothered to finish it. NWN is an average-to-good game, but inferior even by VG-RPG standards, and is in no way worthy of HoF status. Alexander Lucard: My issue with Neverwinter Nights is that it wasn’t so much a game as it was RPG Maker: Dungeons & Dragons Edition. I loved the engine, creating my own games and playing what other people had made, but the main game that Bioware gave us was an extremely generic and somewhat dull hack and slash RPG than we’ve all seen numerous times before. I loved playing the creations of other people, but those aren’t what you paid for when you picked up NWN – the included adventure was. Unfortunately as time goes by the created content will cease to be available, even if you have your old discs or download a compatible version from www.gog.com. I don’t feel comfortable giving what is little more than a dev kit a spot in the Hall of fame, no matter how much I loved it. This is why I tend to say that Neverwinter Nights 2 was a better game but not as good for making your own creations. As well, by the time NWN came out, I had already spent years making my own games and playing other people’s creations with another tabletop RPG turned licensed PC RPG – Vampire: The Masquerade – Redemption. With NWN, the novelty was only in the sheer amount of people you could play and the first quality third edition D&D game for the PC. Unfortunately Neverwinter Nights wasn’t the first quality third edition game across the board – that was 2001’s Baldur’s Gate: Dark Alliance by Snowblind Studios. So for me, the main campaign of NWN was a bit lackluster, especially compared to much of the community creations, so I can’t vote it in based on that. It wasn’t the first quality third edition game, nor is it in my top five D&D PC games, so I can’t vote it in on any of those. Neverwinter Nights is a wonderful “create your own game” software setup but as an actual VIDEO GAME, it’s not as good as D&D games that came both before and after it. If we could do something on just the Aurora toolkit, I’d probably vote for that in terms of a beginner’s devo tool. But as a GAME? Nope. I can’t. Conclusion: Well, even though the majority voted in favor of Neverwinter Nights, it still wasn’t enough to get the game into the Hall of Fame. 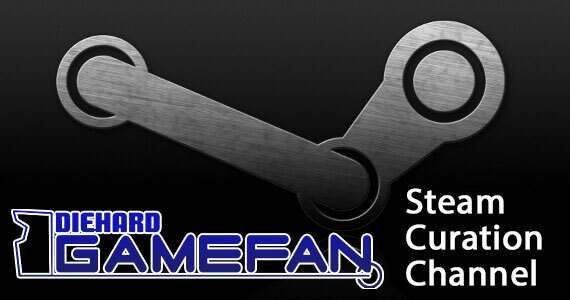 This means that we’re still in search of our first PC game to actually make it into the Hall. 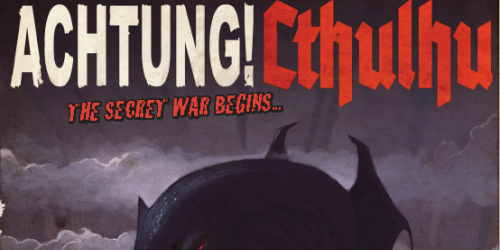 Could it be one of the other Dungeons & Dragons games we have lined up as nominations this week?